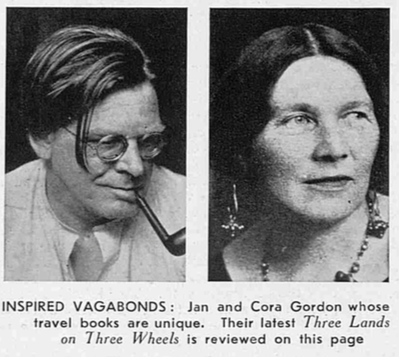 The Sphere of July 23rd 1932 contains a very positive review by Cecil Roberts of "Three Lands on Three Wheels" by Jan and Cora Gordon. "What a happy pair the Gordons are, and how their pluck has been rewarded. Once upon a time they began to travel across the earth because they were vagabonds and had nothing at all. Now their travel books sell by the thousands, but they are wise enough to remain vagabonds and travel for as little as possible. Hence the three wheels of their motor-cycle and side-car, the latter being their wardrobe. 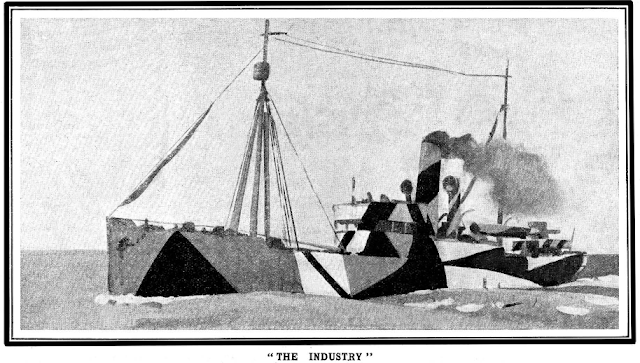 The three countries were France, England, and Ireland." 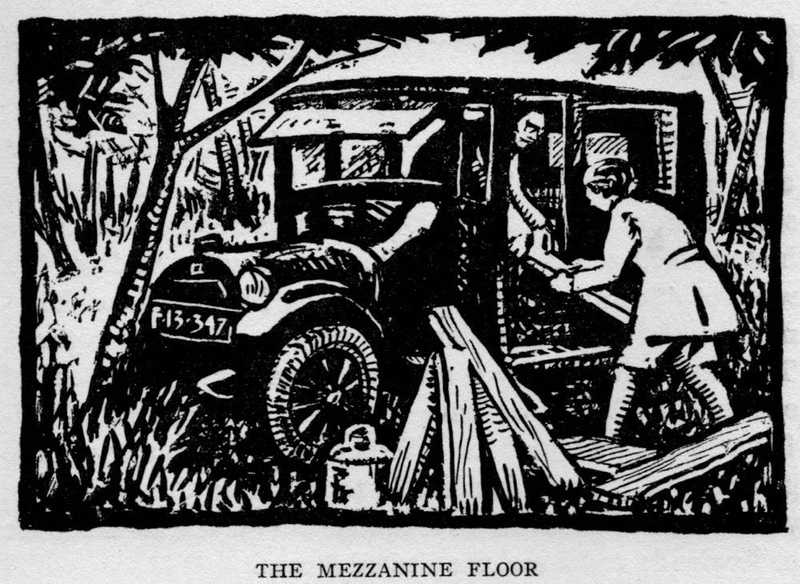 "The charm of this book lies not only in the text, but also in the drawings that illustrate it. The Gordons miss nothing. I think I know that inn by the old walls in the medieval town of la Rochelle." "Here are nearly four hundred pages of excellent reading, delightful sketches, and a revealing picture of France, England, and Ireland."